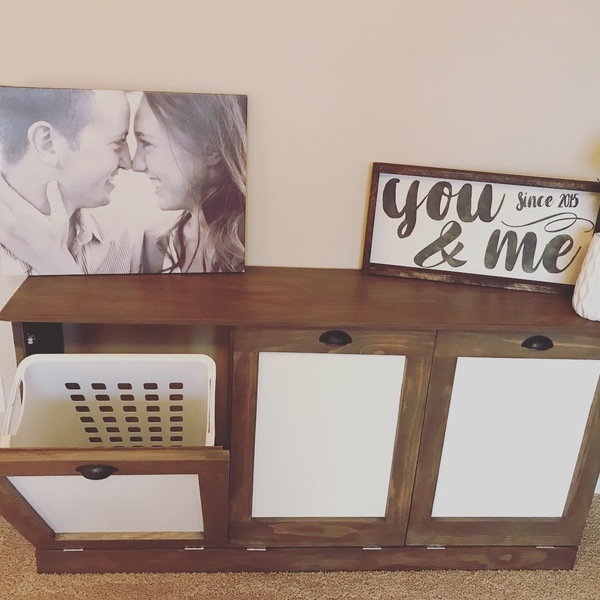 I followed the plans from Shanty 2 Chic for this fabulous laundry organizer that looks great and helps my husband keep his dirty laundry off the floor! 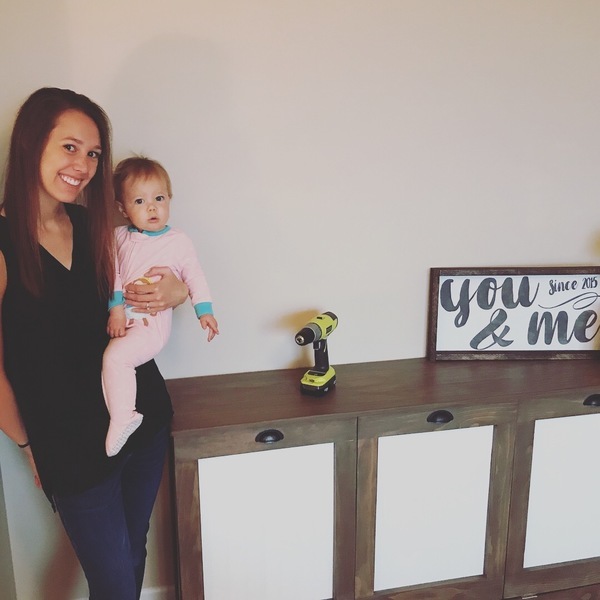 I received a few Ryobi tools for Christmas from my husband and this was my first furniture piece I created. 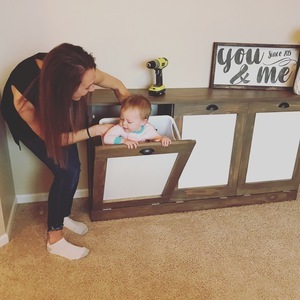 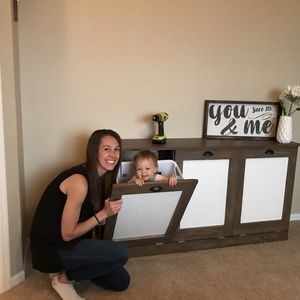 After my littler helper (future Ryobi user) went to bed is when I finally had some quality time to work on this, it took a little longer then expected but I am happy with the results. 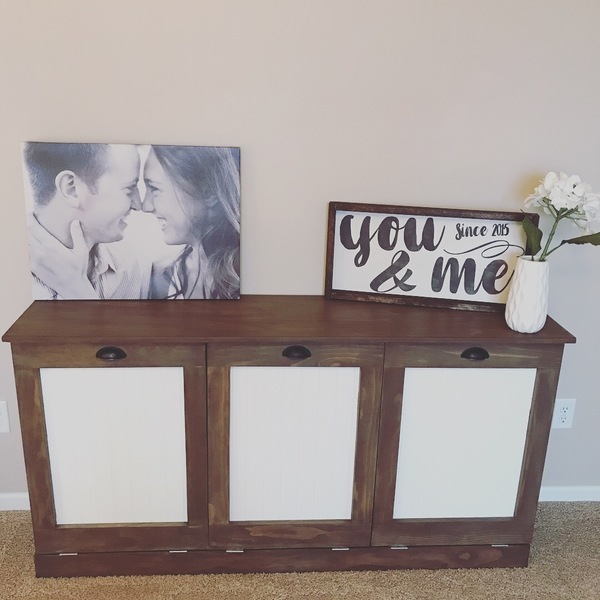 I added my own flare to the doors by using some bead board we had around the house to save some money. 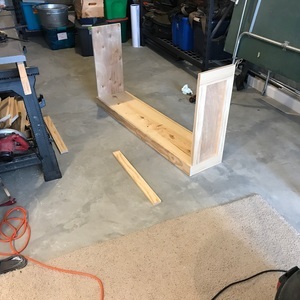 I also added a wire to keep the doors from falling to the ground when we opened them, and attached some cabinet hardware to keep the doors closed. 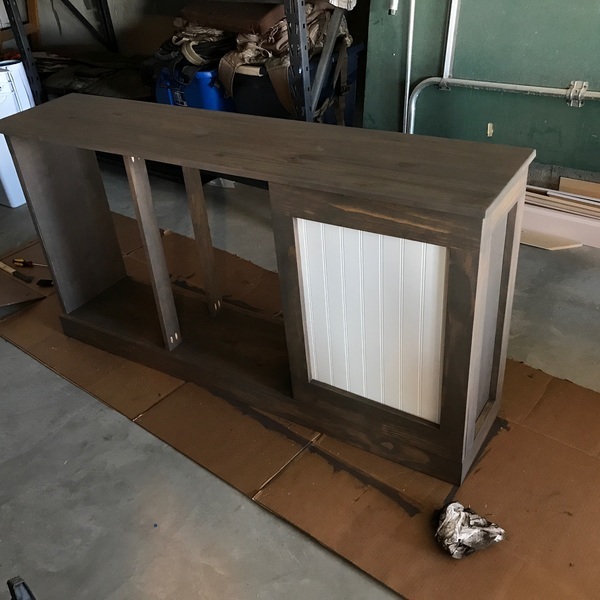 After lots of sanding and multiple colors of stains/paints I was finally happy with the color. Being new to the woodworking world I would highly recommend the plans from Shanty 2 Chic to anyone, they were super easy to follow!